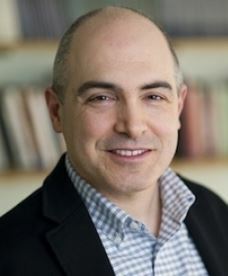 On March 2, 2018, we had an interview with David DeSteno, PhD to talk about his new book, Emotional Success: The Power of Gratitude, Compassion, and Pride. 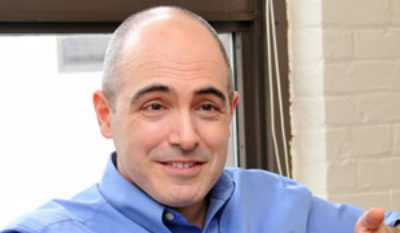 David is a professor of psychology at Northeastern University where he directs the Social Emotions Group. He is author of The Truth About Trust and co-author of the Wall Street Journal bestseller, Out of Character. 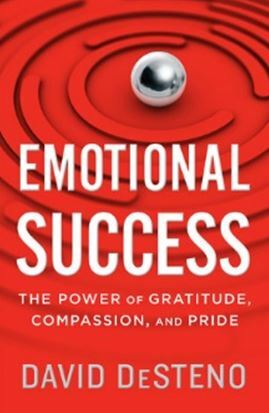 In his newest book, Emotional Success, he reveals how three emotions—gratitude, compassion and pride—can provide the surest, quickest route to success in any realm. provide the surest, quickest route to success in any realm. more likely to apply them when we do. greater ease and deeper satisfaction than we would have thought possible. and Talk of the Nation, and USA Today. Mother Jones, and The Atlantic. us stick to our goals, they make us better friends and better people. “Emotional Success is as inspiring as it is practical. Emotional Success: The Power of Gratitude, Compassion, and Pride . Price can be a virtue, but it needs to be the right kind of pride. Ideas.Ted.Com. The Connection Between Pride and Persistence. Harvard Business Review. The Morality of Meditation. New York Times. 7/5/13. Video: Emotional Intelligence for Success. 19 mins. Video: Teams, Trust & Creativity. 21 mins.